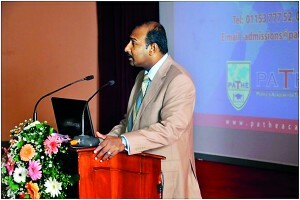 Peoples Academy for Tertiary and Higher Education (PATHE Academy) organized a public seminar on Hospitality and Tourism Management Education in Sri Lanka and Internationally. Hospitality and Tourism both are emerging and fast growing sectors with a huge involvement of manpower. Human Resources is probably one of the most important issues related to every organization. In different parts of world, the discussions are ongoing for Human resources in Hospitality and Tourism Industry. It is been noticed that the supply of Human Resources is comparatively less than the demand in these industries; In this regard education will play a pivotal role. With this background, PATHE Academy had organized a seminar on Hospitality and Tourism Management Education in Sri Lanka and Internationally. Travel & Tourism as one of the world's largest industries, supporting more than 256 million jobs worldwide and generating some 9.1% of global GDP. UNWTO's activities aimed at posting tourism higher in the global political and economic agenda. It is estimated that Sri Lanka would need approximately 600,000 skilled people to run the industry by 2016. This seminar witnessed the presence of industrialist, academicians and students from Hospitality industry, from various universities and colleges. "The goal of this seminar was to make awareness about Hospitality Management Educational Programmes and Career opportunities locally and internationally". 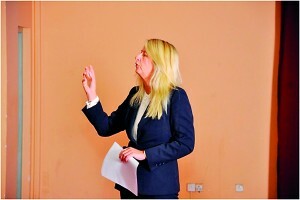 The Seminar was presented by Ms. Sue Graham, Head of Operations & Compliance, Confederation of Tourism and Hospitality (CTH) UK at the Sri Lanka Institute of Tourism and Hotel Management. 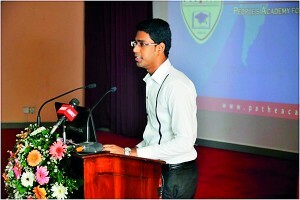 Mr. Anjana Senaratne the Manager Faculty of Management & Business Studies, Mohamed Shakeel, CTH Level 4 Diploma Student also addressed the gathering. Dr. Sanjayadeve Munasinghe, The Chair person of the Group ( UN Consortium ) was also present among the distinguished guests. Hospitality and Tourism Education in Sri Lanka, growth and development gearing up for industry related services. The Contribution of the Confederation of Tourism and Hospitality and PATHE Academy towards the industry. Inspiring youth for careers in Hospitality and Tourism to meet the industry requirement by providing a Gold Standard Qualification. The Personality Requisites shaping youths for work force diversity in Hospitality and Tourism. 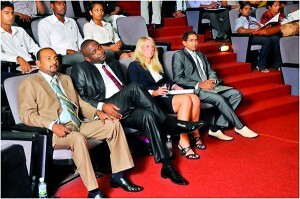 Industry Interface in Hospitality and Tourism. Meeting International Requirements for Hospitality and Tourism Trade by Offering World Class Education.